When you look at this Website, our service provider makes a record of your visit. This shows your domain name server address, IP address, operating system, browser type and the pages you have visited. We may also obtain information about your general Internet usage to help us improve the Website by using "cookies" which are stored on the hard drive of your computer. Information gathered by using cookies may include the date and time of visits, the pages viewed, time spent at the Website, and the web sites you visited immediately before and after the Website. The service provider only discloses to us aggregate information about the number of visitors. We will only use the information for preparing statistics. The personal information you have provided to Charles Mok Office will be treated as strictly confidential. 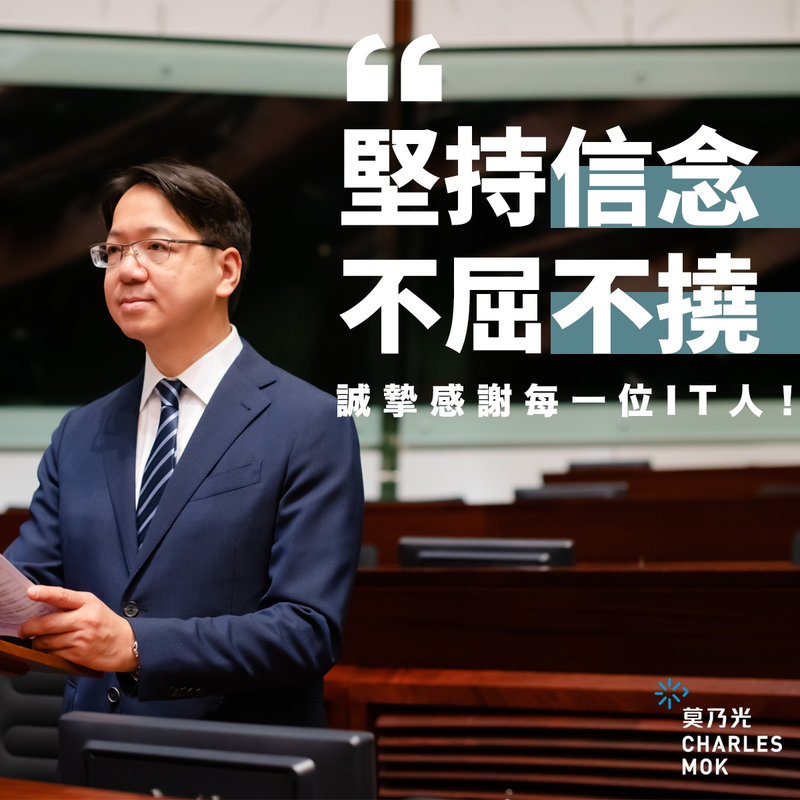 Your personal data will be used for purposes of communication on LegCo, IT and related matters, and purposes in line with the purpose of Charles Mok Office. Your personal data will be stored in secured internal system. To connect closely with you and to keep you informed of Charles Mok Office’s work and fundraising progress, we and our affiliates may use your contact information (name, telephone, and email) for the purpose of communications, volunteer recruitment and survey administration. The personal data collected will be treated as strictly confidential. If you would not like to receive such materials or communications, please contact us at +852 2352 3129. Under the Hong Kong Personal Data (Privacy) Ordinance, you have the right of access and correction with respect to personal data. Request for personal data access and correction should be made to Charles Mok Office in writing (email: charlesmok@charlesmok.hk). In addition, if you do not wish to receive any communication relating to Charles Mok office or this Website, you may contact us at any time. Please fax us at (852) 3020 9867 or mail the request to Room 917, Legislative Council Complex, 1 Legislative Council Drive, Admiralty, Hong Kong. While we aim to use a "secure mode" whenever we request personal information, we do not guarantee that information transmitted through the Website or any electronic mail (email) will be secure, since such information or email sent over the Internet is not secure.